Full international Connor Farrer heads the Wales squad for the Nines competition at the Commonwealth Games next month in Queensland. Farrar, 22, has scored 37 tries in 89 appearances for South Wales, now West Wales, since his debut at the age of 17 and has earned six Wales caps in the meantime. He is one of six West Wales Raiders players in the squad, which means they will miss the Raiders’ League One opener. 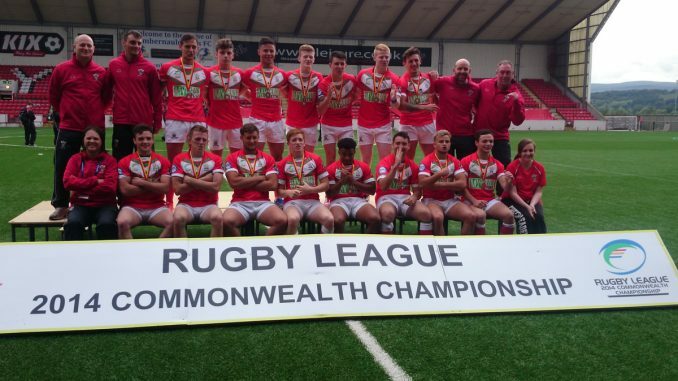 Wales under 23 head coach Shane Eccles said: “This is a fantastic opportunity for these young players to challenge themselves on a big international stage. “It has been a tough process to select a final 15 man squad as we had interest from lots of players of a high standard and it was very difficult to make the final selections due to the quality of players identified as potential squad members. “This alone shows the growth of the sport in Wales and looks to continue into the future. Squad in full: Cobi Green (Bradford Bulls), Liam Rice-Wilson, Zak Williams (both Coventry Bears), Blake Turner (Rochdale Hornets), Liam Silver, Jake Thomas (both Torfaen Tigers), Daniel Crabtree (Ulverston ARLFC), Rhys Gant (Valley Cougars), Karlin Claridge, Connor Farrer, Macauley Harris, Morgan Jeffries, Ben Jones, Aneurin Walker (all West Wales Raiders), Paul Edwards (unattached – former South Wales RLFC).